Miranda (left) found her niche at A&M working on Bonfire. Kenny and Carolyn Adams of Santa Fe, Texas, say going to Texas A&M football games keeps them closer to the school their daughter, 19-year old Miranda Denise, attended. Miranda was one of the 12 Aggies who died in the 1999 Bonfire collapse. This is the first in a series of stories about the 12 Aggies killed when the Texas A&M University Bonfire collapsed in 1999. These stories stand in tribute to the lives lost and those forever changed by the tragedy. A ceremony to dedicate the Bonfire Memorial on campus is scheduled for Nov. 18, the five-year anniversary of the collapse. Kenny and Carolyn Adams have been to four weddings since their daughter’s funeral five years ago, each occasion a reminder of what they won’t experience with 19-year-old Miranda Denise. An empty chair at holiday dinners and an unoccupied bedroom with Miranda’s clothes hanging in the closet still chase up bittersweet memories for the Adams. But the parents, who describe the death of their only daughter as a physical affliction that they’ve simply gotten used to living with, say it’s the milestones — such as Miranda’s friends getting jobs, celebrating marriages or buying their first homes — that serve as the biggest reminders of what they lost. 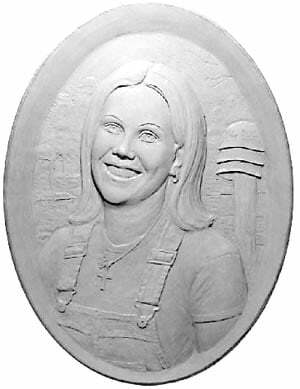 Miranda died in the early morning hours of Nov. 18, 1999, when the Texas A&M University Bonfire toppled and buried the sophomore beneath it. Her parents, who are expecting their third grandchild in December, said they sometimes still have to convince themselves it’s OK to be happy for the accomplishments of their two sons, now 31 and 27. “We’ll never see my little girl get married; her daddy will never walk her down the aisle,” Carolyn Adams, 52, said last week from her home in Santa Fe, Texas. “That part of our life, our hopes, our dreams, our future is buried, and all we have of Miranda is the past. There’s no future there. The morning she died, Miranda was talking to her suitemate from Mosher residence hall while wiring logs in place on the first level of the 59-foot Bonfire stack. She disappeared, singing, to the stack’s south side moments before the collapse. Her parents were jarred awake by a 5:30 a.m. telephone call from Carolyn Adams’ sister. They wouldn’t know for another 18 hours that their daughter had been killed — probably instantly after suffering head trauma — when the monstrous Bonfire stack crumbled at 2:42 a.m.
Five years later, as the anniversary of Miranda’s death and the collapse settles in over College Station and the families of the 12 killed and 27 injured, the Adams say they don’t need a calendar to remind them what time of year it is. Grief still runs through Kenny Adams’ dreams and greets him in his waking moments. But he explained it away as unavoidable, saying that as long as God gives them health, he and his wife will attend the yearly memorials in honor of the Bonfire victims. Miranda dreamed of being a pediatrician or a nurse practitioner, spending her first summer break from A&M taking 14 hours at the community college near the Adams’ home in Santa Fe. It had been her dream since sixth grade to attend A&M, where her mother and aunts had taken her as a child to see football games and watch cousins march in the band or stand guard as members of Parsons Mounted Cavalry. 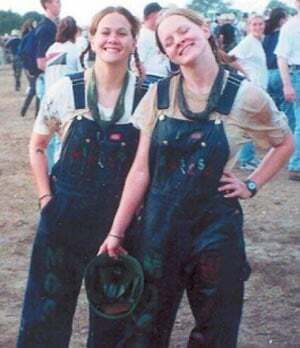 She had seen Bonfires burn, Carolyn Adams recounted, but it wasn’t until Miranda arrived on campus in the fall of 1998 that she announced to her parents that she had found her niche at A&M in the camaraderie of Bonfire. She was a co-chair at Mosher in the fall of 1999, working the midnight to 6 a.m. shift in the final frenzied week of Bonfire preparations. Miranda always had put academics first. After visiting her at school that fall, brother Mark told his parents how amazed he was that she and her roommates still always made time to study. Mark Adams was a member of the Marine Corps, and later would attend A&M on an endowed scholarship set up by the university to honor his little sister. He graduated in 2003. The last time Carolyn Adams had contact with Miranda was in an online chat the evening of Nov. 17. Her daughter cut the conversation short, saying she hated to go but had to study for an early-morning test before she headed to the Bonfire site. “I wish now I had picked up the phone to hear her voice for the last time,” her mother said, speaking softly. Early the next morning, the Adams fumbled for the TV remote and watched in horror as the news of the collapse unfolded. It took them less than an hour to get ready and drive the two hours to College Station — a trip they made, her mother said, because Miranda would have called to tell them she was OK. The Adams say they have to search their hearts now for permission to laugh and enjoy things. Because of that, certain fears still haunt Miranda’s mother, who prayed for a daughter and made the delivery-room doctor promise her third child was a girl when Miranda was born June 27, 1980. Though some Bonfire collapse victims and their families have filed wrongful-death and injury lawsuits, the Adams have not. They say they embrace the school their daughter loved. But they do feel it could be a mistake to bring Bonfire back to campus. Carolyn Adams expressed anger and dread over the potential dangers of off-campus, unsanctioned fires that students and alumni have burned in recent years. “How can you look at it the same after 12 people had their lives taken from them?” she said. “They didn’t volunteer to die that night. They had hopes and dreams just like anybody else did. After five years, though, the Adams said they can focus on celebrating their daughter’s gift to the world. Miranda’s name, words and likeness now are carved in bronze on a portal facing her hometown as part of the Bonfire Memorial on campus. The memorial will be dedicated Nov. 18. That’s something, the couple said, that will always serve to honor their daughter. The Adams have tailgated and attended A&M home football games every year now since 2001, sitting in The Zone at Kyle Field next to Larry and Neva Hand. The Hands’ daughter, 19-year-old Jamie Lynn, was the only other woman killed when Bonfire fell. Kenny Adams said it has become therapeutic for the two couples to be at A&M for every home game, just like their daughters would have been. And above all, he said, it gives them time to come together, reuniting every fall for a tradition of their own.